This little girl is pretty passionate about cows & pigs. They're her favorite animals. She's been observing the cows on the way to bring her dad david lunch everyday and becoming more upset about it. 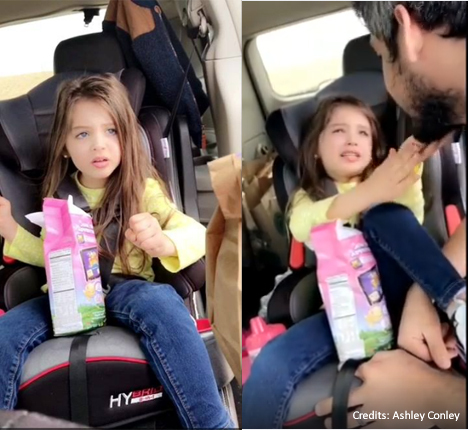 She has a sweet little heart and the video will surly melt your heart. And this video has been featured on Nation of Ellen DeGeneres and its up for voting. The Video have 4k + views already on ellennation.com.